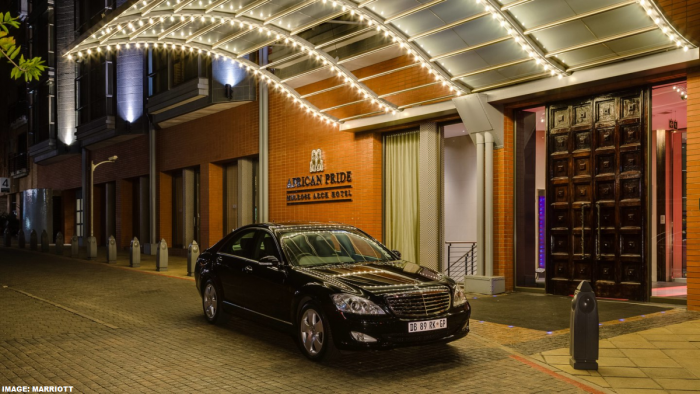 Marriott Rewards has launched a promotion for stays at Autograph Collection hotels in South Africa through April 22, 2019. Members can save 20% and earn 2,000 bonus points for weekend stays (some require two nights) booked using promotional code M11. Some savings for stays at these five hotels combined with bonus points. Worth having a look if you have been planning to stay at them. Minimum 2 night stay applies to the African Pride Arabella Hotel & Spa, Irene Country Lodge & Mount Grace Country House and Spa. Valid Friday to Sunday nights only. Marriott Rewards bonus points are per stay. Marriott Rewards number is required at time of booking. Subject to availability. Guest must book reservation using promotional code listed above in order to receive bonus points. Offer applies to one regular room per stay, per member on dates listed. A “hotel stay” or “stay” means all consecutive nights spent with Marriott by a registered Marriott Rewards member. Offer not available during special events; tax is additional; special offers cannot be combined; blackout dates may exist; advance reservations are required. Offer does not apply to groups of 10 or more rooms. Members electing to earn miles are not eligible for this promotion. Next articleReader Question: Qatar Airways Aircraft Swap & From Qsuite To 2-2-2 Configuration?